The Battle of Antietam, fought on September 17, 1862, was the first major engagement of the Civil War to take place on northern soil. The battle is recognized as the bloodiest single day in American military history, with around 23,000 casualties on both sides. The fiercest fighting of the battle took place in the "Bloody Lane," a sunken farm road at the center of the Union lines. The road was worn down by years of wagon traffic and offered the men of Confederate Major General D.H. Hill's division a defensible position during critical points of the fighting. 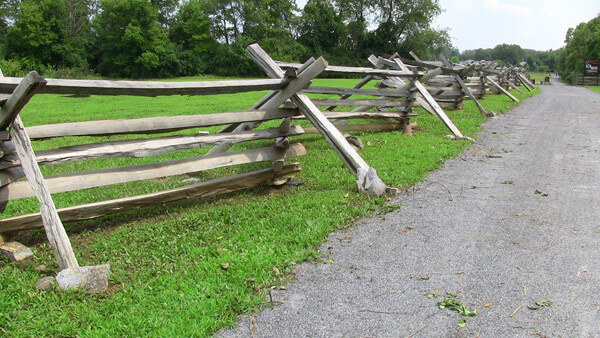 The split-rail fence running down the western side of the Army Heritage Trail is a commemoration to the Soldiers who died in the "Bloody Lane." The fighting near Antietam creek on September 17th was a full scale battle in which both the Confederate and the Union forces used full compliments of field artillery. At the end of the Antietam road fence on the Trail, we have on display two examples of the artillery the Union Soldiers used in battle. The 3 inch Ordinance Rifle was developed by the Phoenix Iron Company, which introduced new ways to build artillery pieces from wrought iron, rather than the old bronze pieces. The 3 inch rifle was well known for its accuracy, even out to its range limits, and sometimes even sported up to three sights to improve aim. The guns were famously completely reliable mechanically and had a range of more than a mile. 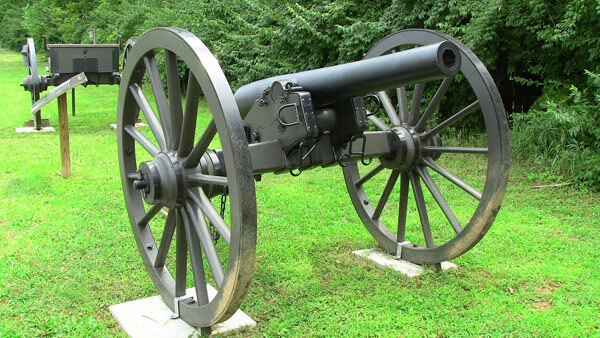 The 12 pounder "Napoleon" cannon is the second Civil War era artillery piece the Trail has on display. The bronze tube, named for Napoleon III of France, was the most widely used smoothbore cannon on Civil War battlefields. At Antietam alone, the Union forces utilized 108 Napoleons. The cannon was capable of firing solid shot for reducing defenses and buildings, exploding shells for artillery duels and antipersonnel, and canister rounds for devastating close-quarters anti-infantry fires. is a commemoration to the Soldiers who died in the "Bloody Lane." 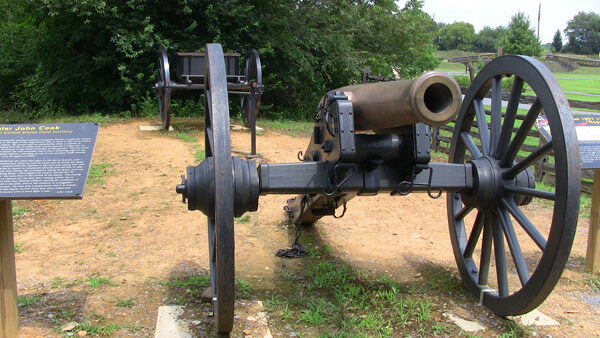 to build artillery pieces form wrought iron, rather than the old bronze pieces. The 12 pounder "Napoleon" cannon is the second Civil War era artillery piece the Trail has on display. The bronze tube, named for Napoleon III of France, was the most widely used smoothbore cannon on Civil War battlefields.